So, apparently, dinosaurs can live past their expected lifespan (even ones who are unmodified). 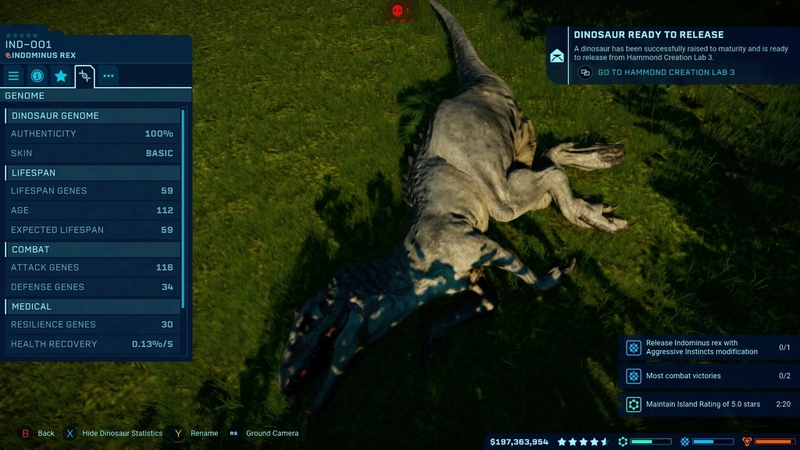 Case in point, a "default" Indominus rex has an expected lifespan of 59. However, the one I had on Isla Tacaño managed to live to a ripe old age of 112. Yeah I noticed this too but I'm not complaining!